A truck repair hoists’ primary purpose is to increase shop safety and efficiency by providing maintenance personnel with a convenient access height for the inspection, maintenance and repair of the truck. 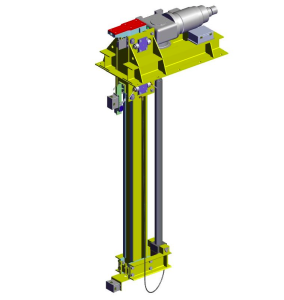 Using a rugged and proven electro-mechanical steel-alloy screw and bronze-alloy nut design, the two-screw Truck Repair hoists offers self-locking nuts along with steel safety nuts as backup for added failsafe protection. Added features like over travel limit switches help make the Truck Repair Hoists one of the safest pieces of equipment in your maintenance shop. 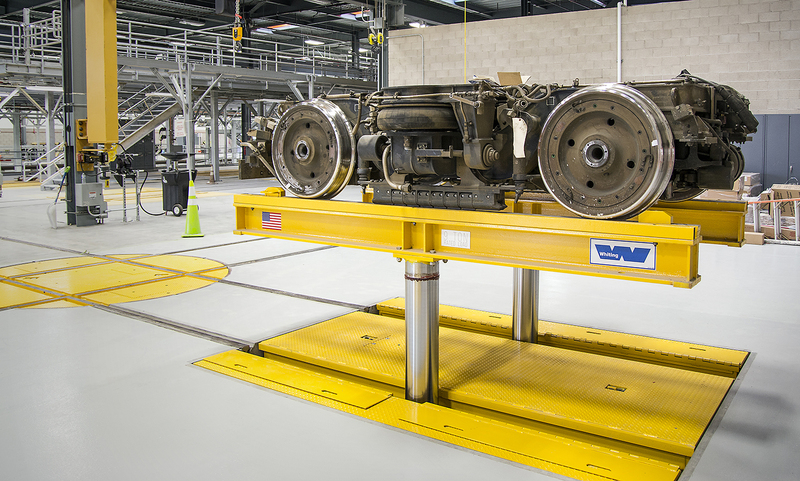 Whiting’s truck repair hoists range in size from 9-22 Tons, and are an integral part of the car hoist maintenance system in many modern transit and freight maintenance shops. 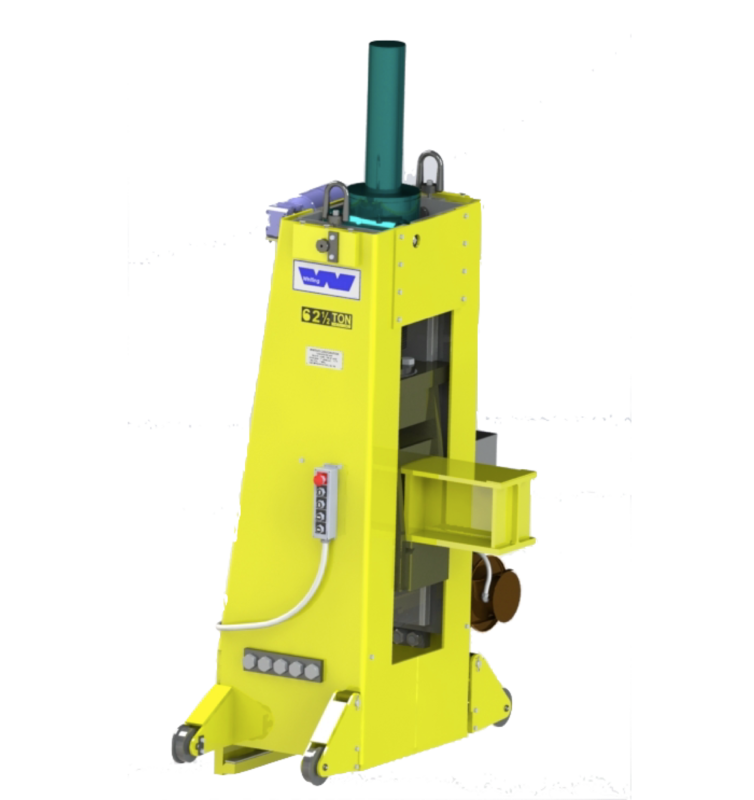 With minimal needed routine maintenance, Whiting Truck Repair Hoists are known for their long-term reliability, open design for easy truck servicing and safety in maintenance shops across North America. 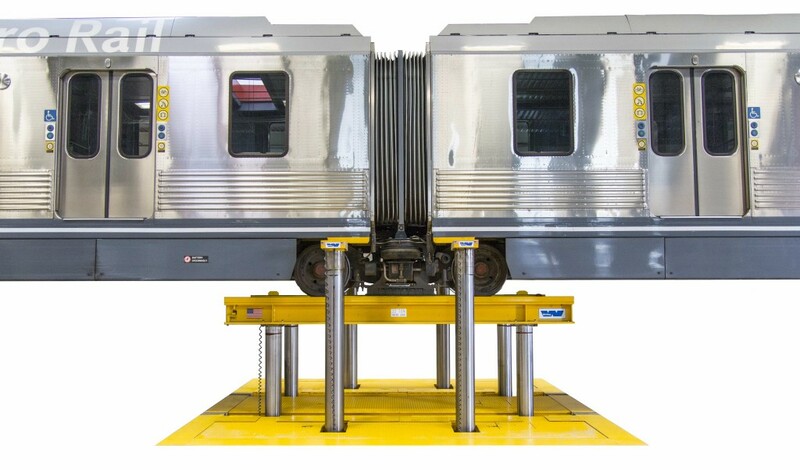 Specific to the transit industry, Whiting body hoists and supports can be use in conjunction with Whiting car hoists to facilitate body and truck separation, or to elevate railcars to safe heights and hold them for inspections and repairs under the car. 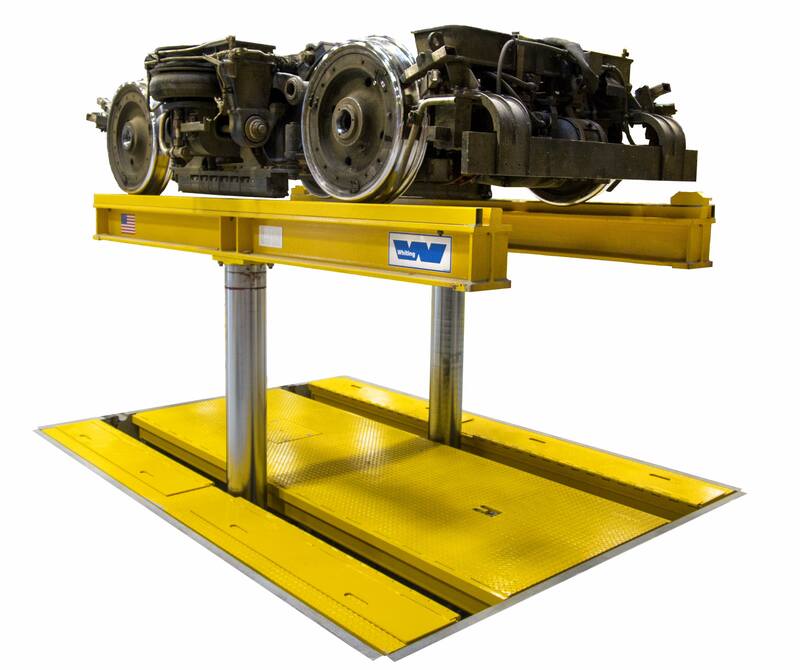 Used in conjunction with Whiting body hoists, Whiting body supports have no motive power capability to raise and lower cars but provide support of the railcar body when trucks are being removed. Standard capacities range from 5 to 20 tons. 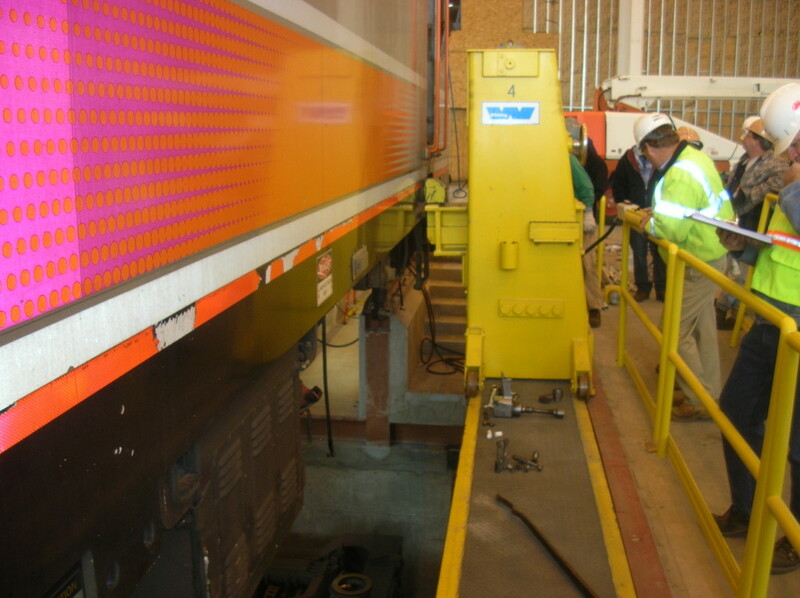 Whiting car hoist systems are your safe solution when repairing the railcar underbody and/or side components. 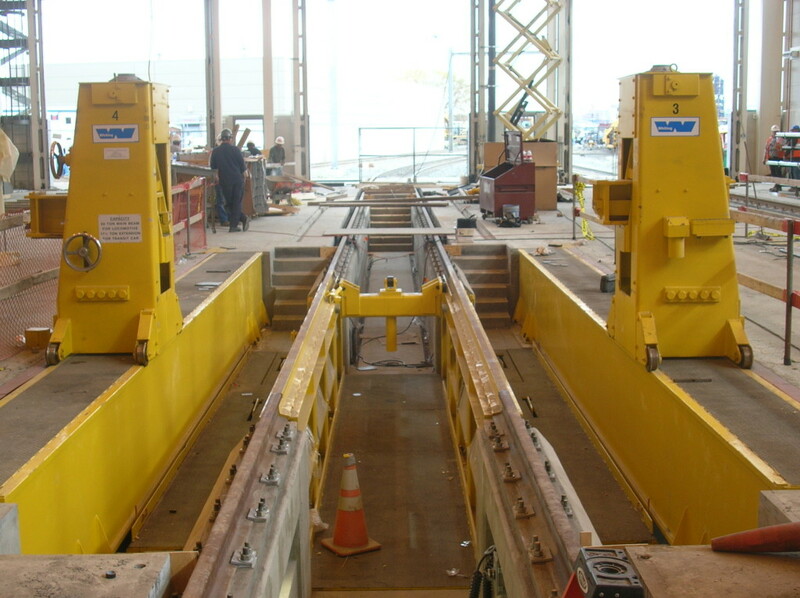 Only Whiting car hoists utilize a patented safety design to rail and lower railcars that reduces the possibility of accidents caused by sudden dropping of the elevated car.